Your job is complicated, we can help you simplify it with the right information when, where and how you want it on an attractive interface that you can personalize. Day-to-day operations are significantly easier with drag and drop trending, Outlook-like schedules and one-click reporting. Native open protocols provide the freedom to choose the right equipment for your unique application. 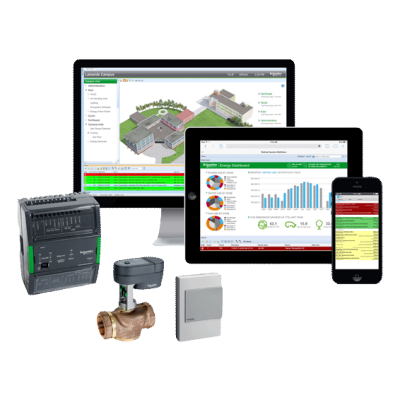 Schneider Electric’s EcoStruxure solution also delivers one-click integration across your enterprise. EcoStruxure is a great investment for today’s needs and tomorrow’s challenges. With EcoStruxure, you can deliver an efficient enterprise with up to 30% energy savings while creating a healthy and sustainable environment that attracts and retains employees. Make the most of your energy! 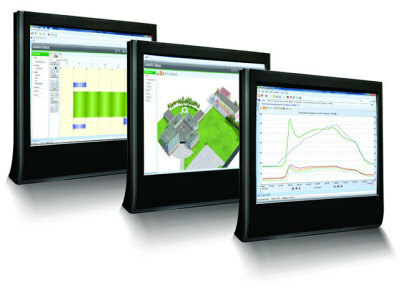 Built from the ground up as a monitoring and control system for building climate and security. Integrating access control, video surveillance, HVAC and lighting control into one system reduces the amount of wiring and hardware needed, thus drastically reducing the overall system cost. With Schneider Electric’s commitment to open standards and allowing third-party integration, Andover Continuum is ready for today’s needs while helping prepare for the future. © 1992-2017 Advanced Automated Systems, Inc.
Lutron Vive is a simple, scalable, wireless lighting control system for new and existing commercial buildings. Vive offers an innovative multi-strategy approach that accommodates your budget and performance needs now, and for the future of your building. Vive not only provides seamless integration to other building management systems, it also combines lighting control strategies to maximize efficiency and energy savings. 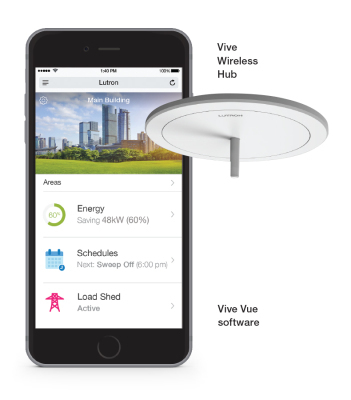 With wireless controls and sensors, simple setup and programming options, Lutron Vive is our most user friendly software yet. With Access Expert you can access video monitoring, intrusion detection and alarms, visitor management, and building management operations from a simplified user interface — letting your security team operate with maximum efficiency at lower operating and maintenance cost. Access Expert is the first cloud-based access control platform that can operate as an on-premise solution and runs without servers or appliances on-site. Access Expert’s flexibility allows customers to choose how the system is deployed. The ACX Series controllers are the industry's most powerful all-in-one access controllers designed for both critical government and private sector security applications. These Andover Continuum building management system controllers are just as attractive for one to eight reader installations. 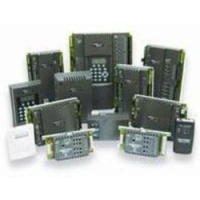 ACX 5720: 6 universal inputs, 4 reader inputs, 1 tamper input, 2 digital lock outputs. 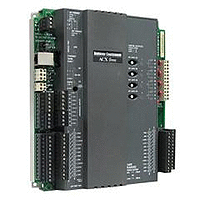 ACX 5740: 12 universal inputs, 8 reader inputs, 1 tamper input, 4 digital lock outputs. Communication with the ACX is not only fast, supporting data transfer rates up to 100 Mbps, but secure with IPsec/IKE encryption and authentication. Plus, each ACX Series controller comes standard with 32 MB of flash memory and 128 MB of DDR SDRAM. For over 15 years, Genetec has led the development of world-class unified IP security solutions. Genetec began in 1997 by pioneering the first-ever IP video management software, giving customers at the time never-seen-before system flexibility, hardware freedom and ease of system growth through a powerful open solution that was easy to use. Today, Genetec is a global provider of IP video surveillance, access control and license plate recognition solutions unified in a single platform. 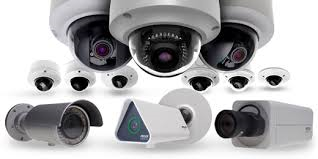 Pelco offers a wide selection of IP cameras designed for security surveillance in a wide variety of commercial and industrial settings including offices, commercial spaces, schools, hospitals, banks, financial institutions, casinos, hotels, restaurants, stores, malls, shopping centers, city centers, warehouses, power plants and other challenging indoor and outdoor environments. Unrivaled in functionality and performance, Pelco's cutting-edge IP cameras are designed to meet and exceed the ever-evolving demands placed on video security installations. From high-definition megapixel to standard-definition IP security cameras, Pelco offers the industry's widest selection of fixed and positioning network camera systems available. These open systems deliver unparalleled functionality, high-resolution image quality and full frame-rate video, bringing clarity and precision to your unique applications. 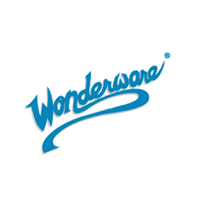 Wonderware is the global leading brand of industrial software including Human Machine Interface (HMI), SCADA, MES, real-time Operations Management and Production Information Management software. Wonderware solutions enable production and industrial operations to synchronize with business objectives to achieve speed, flexibility and sustained profitability. Wonderware software delivers significant cost benefits for designing, building, deploying and maintaining robust applications for manufacturing and infrastructure operations. APC by Schneider Electric is a global leader in critical power and cooling services, provides industry leading products, software and systems for home, office, data center and factory floor applications. Backed by the strength, experience and wide network of Schneider Electric’s Critical Power & Cooling Services, APC delivers well planned, flawlessly installed and maintained solutions throughout their lifecycle.